Traveling can be a pleasant and joyful experience, but all depends on your choice of gear and gadgets that you choose to take along. If you are looking for creating happy memories and a pleasant travel experience, then read on. 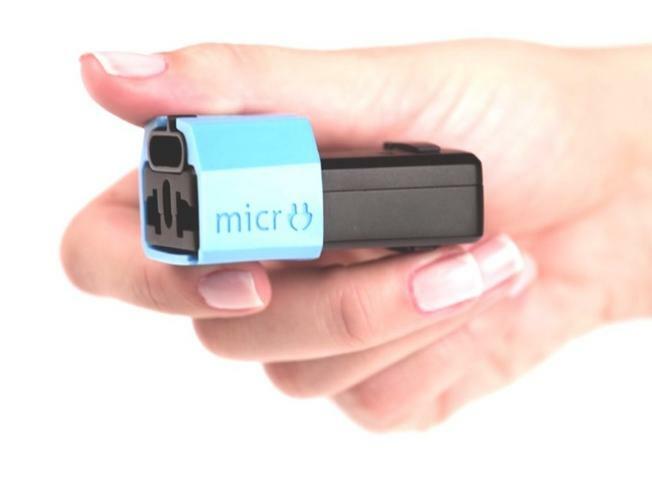 Micro Universal Travel Adapter: Micro is a compact universal travel adapter that comes with all the functionalities of a big, heavy, bulky universal travel adapter into a sleek gadget. Its compatible in over 150 countries, is surgesafe, features integrated casing, is modular and lightweight - 30 grams. Pre-order: $29. 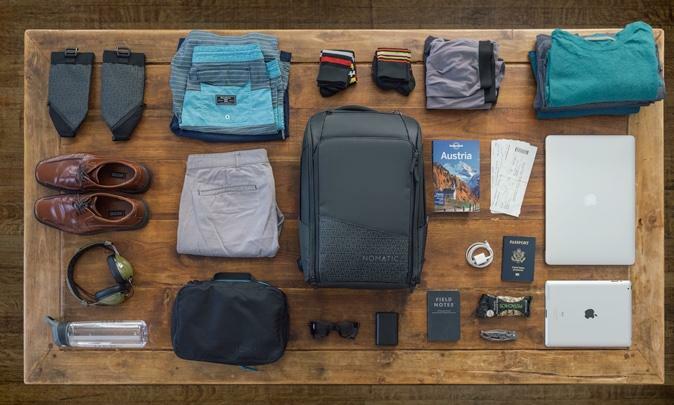 Nomatic Travel Pack: Nomatic is functional travel pack that's perfect for 1-3 days tour. It features full perimeter expansion - increases capacity from 20-30 liters, features dividing mesh wall for separating your packing, shoe/clothes separate storage space, TSA approved laptop and smart device storage space, and more. Pre-order: $169. Lemore Business Travel Backpack: The Lemore is a 7-day business travel backpack that looks minimal but comes with extra large capacity. 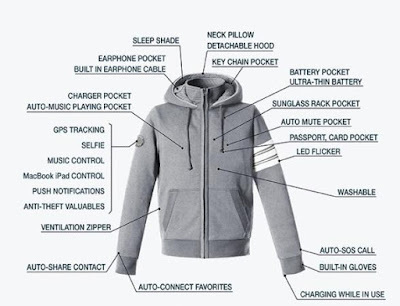 It features secured clothing storage, suit storage, laptop storage, separate shoe storage, tech pocket, hidden pocket for wallet, hidden pocket for cards and tickets, hidden pocket for passport and small bills, USB port, sunglasses loop, dampclothes storage, laundry bag, socks pocket, and more. Pre-order: $155. SilverAir Sock 2.0: The SilverAir Socks are advanced socks made with pure silver. These high performance socks are odorless, comfortable, 5x more durable and perfect for travel. Pre-order: $16. Noty2.0 Passport Travel Wallet: Noty2.0 is a slim passport travel wallet that comes with great capacity and can be placed in both front n back pant pockets. 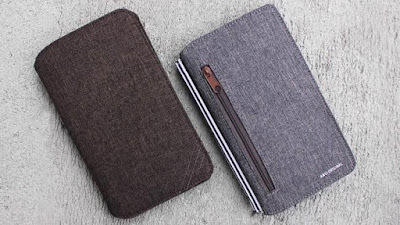 It features two outer cardslots for quick access, zip pocket, passport pocket, cash sleeve with small divider, pen clip, sim cardslot: and ID window. Pre-order. 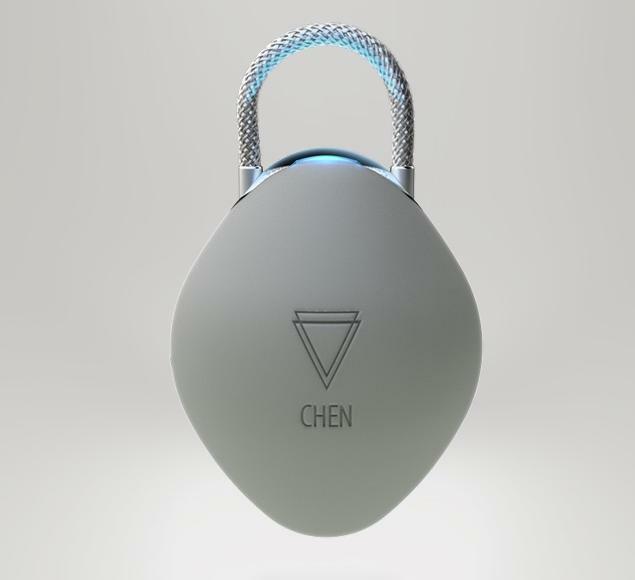 Chen Smart Padlock: The Chen Smart Padlock lets you track your luggage, weigh it and open it using its app. 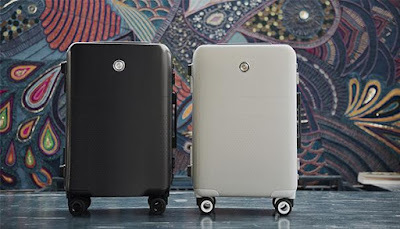 It comes integrated with GSM technology that lets you track the luggage anywhere around the world, its integrated weighing system combines Bluetooth module that sends data to your smartphone, and its remote unlocking system works via Bluetooth technology. Pre-order. Ready Smart Carryon Luggage: The Ready Smart Carryon Luggage comes with built-in weight scale (Bluetooth) and can recharge your devices on the go. It gives you separation notification, is impactresistant, waterresistant, scratchresistant, features built in strap to fasten handbag or coat, and has plenty of packing space. Pre-order: $199. 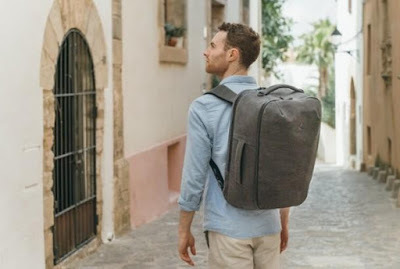 Arcido Bag: The Arcido Bag is a smart carryon that protects your things, keeps you super-organized and lets you travel with a single bag while giving you easy access to the things you need. It features large clothes storage, waterproof pocket, adaptable and removable notebook holder, secure pocket, keeps your gear secure and more. Buy Now. 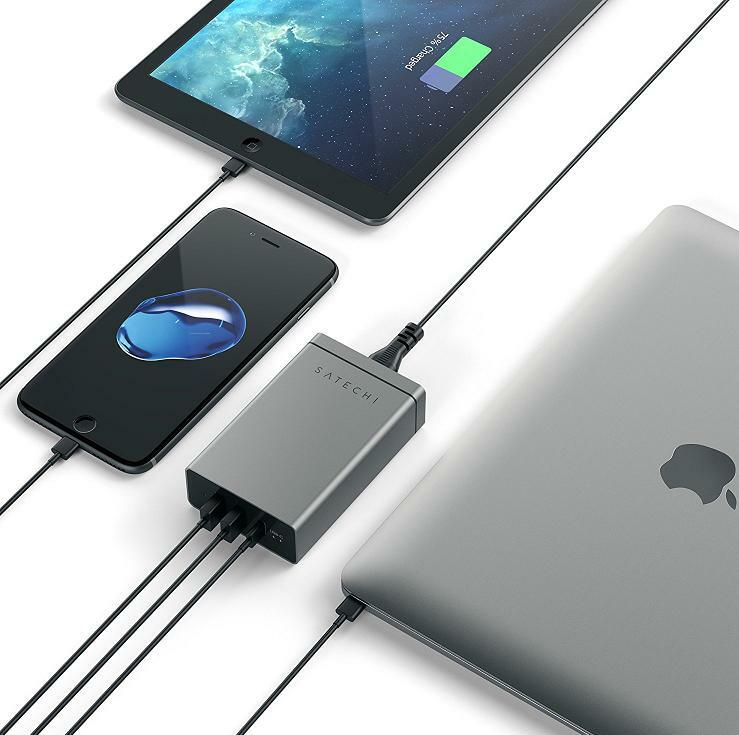 Satechi USB-C Travel Recharger: The Satechi USB-C Travel Recharger features two USB-A ports and a USB-C port, perfect for recharging your smartphone, smart device, and laptop. Buy Now: $34.99. Hallam Smart Travel Jacket 2.0: The Hallam Smart Travel Jacket 2.0 features 29 functions - comes with a built-in neck pillow and sleep shade, built-in earphone cable, recharging pocket, built-in glove, smart button, light, music auto-play pocket and auto-silent mode pocket, and also has total of 10 pockets. More info. 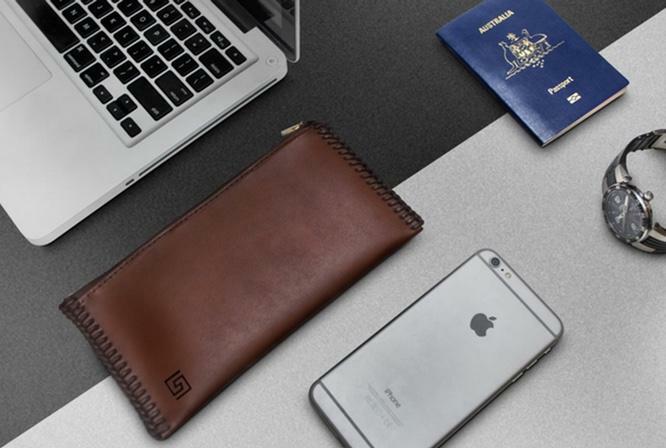 Handcrafted All-Rounder Travel Case: It is a handcrafted travel case that holds notes, coins, pens, passport and travel documents. Buy Now: $50. The Lttl Tumbler: The Lttl Tumbler is on-the-go insulated cup, its stopper fitsdown inside and lets you drink directly from the edge of the vessel; sip naturally from any side, 360° around. 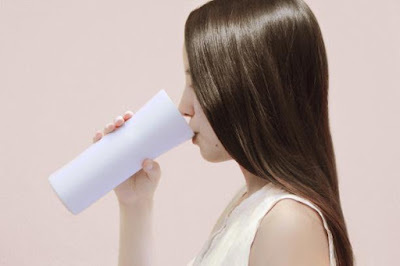 Its patent-pending stopper regulates the flow for the perfect sip without splashes or overflow. More info. 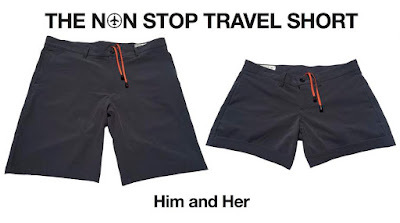 The Non Stop Travel Short: The Non Stop Travel Short is a premium tailored short that will replace your casual short, board short, and your gym short. It features hidden smart phone pocket, secure hidden zipper pocket, is waterresistant, wrinklefree, its inside pocket lining is made from mesh and more. It comes with interior drawstrings for swimming and belt loops for casual wear. You can wear these 3 shorts in 1 in the city, the gym, the beach, and more. Pre-order: $89. 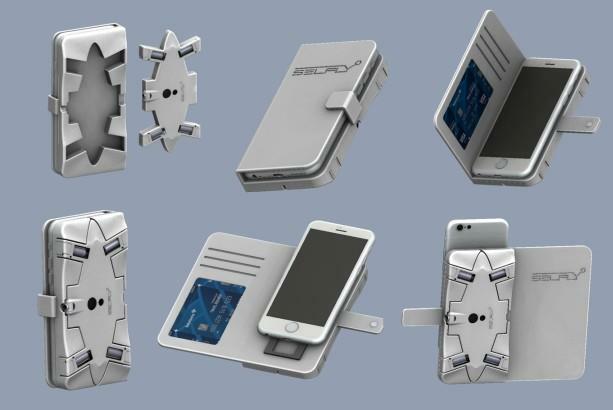 Selfly Camera: Selfly is a smart flying phone case camera that takes selfie to the next level. It features high-end stabilization technology and flies by itself, standing or hovering autonomously anywhere, and works along with your smartphone. It measures only 9mm thin and can be placed easily in your pocket. The Selfly Power Bank features 12,000mAh, and can recharge your Selfly ten times. Pre-order: $99. 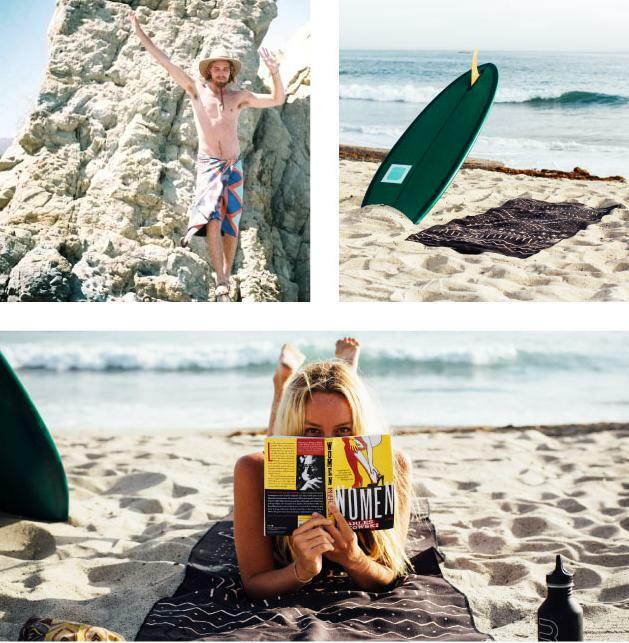 Nomadix Multi-Purpose Towel: Nomadix Multi-Purpose Towel is perfect for variety of activities - travel, beach and yoga. Yoga - its slipresistant, and perfect size for your yoga mat. Beach - sand wont get caught in this towel. Travel - it packs down small. And most importantly its super absorbent and dries quickly. Buy Now:.